Experience a breakthrough in skincare with a new, ultra-modern facial treatment. 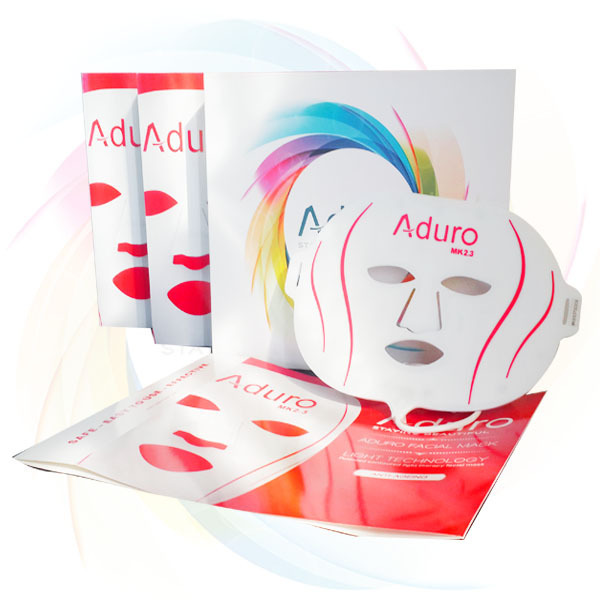 Combat signs of aging with Aduro anti-aging mask, for more supple and radiant looking skin. 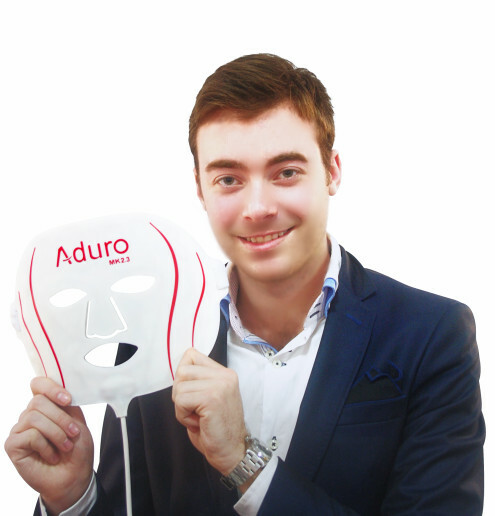 Say goodbye to breakouts with Aduro anti-acne mask, for clearer skin and a more confident you. 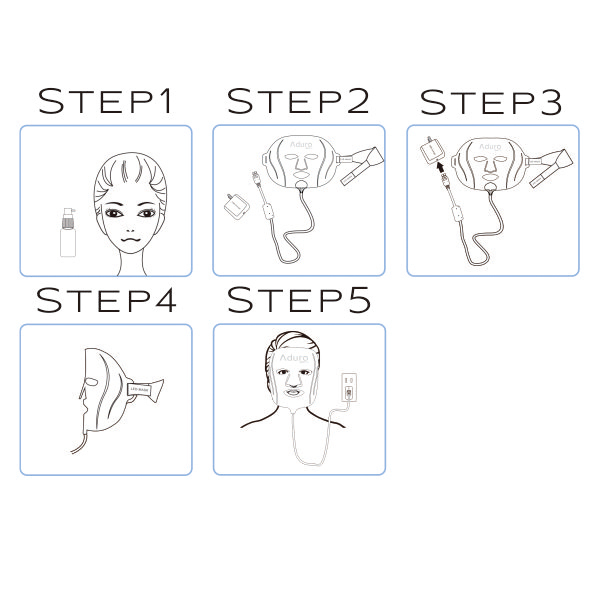 Experience a new way of treating signs of ageing and wrinkles in the form of an easy to use and easy to wear facial mask. Penetrating light naturally boosts collagen production for smoother and more radiant looking skin in as little as 2 weeks. Experience a new, safe and gentle way of treating acne and breakouts in the form of an easy to use and easy to wear facial mask. 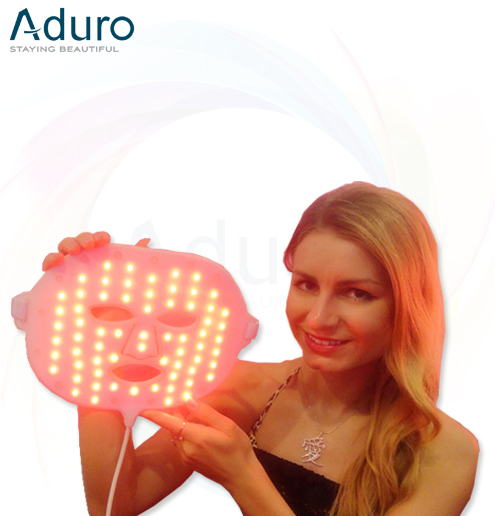 Special light targets and eliminates acne causing bacteria on the surface of the skin where it is active, for clearer skin in as little as 2 weeks. 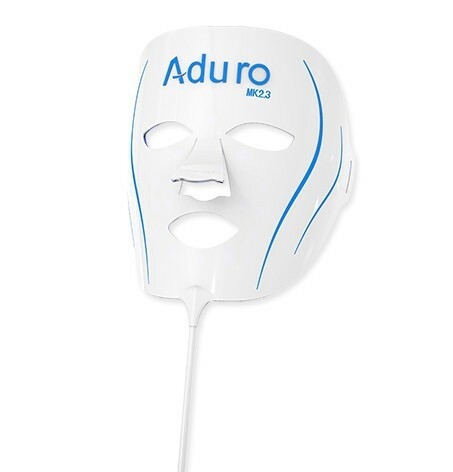 Using the Aduro mask couldn’t be easier. Simply plug and play, adjust the straps for a perfect fit and immerse yourself in rejuvenating light that takes only 5 minutes. 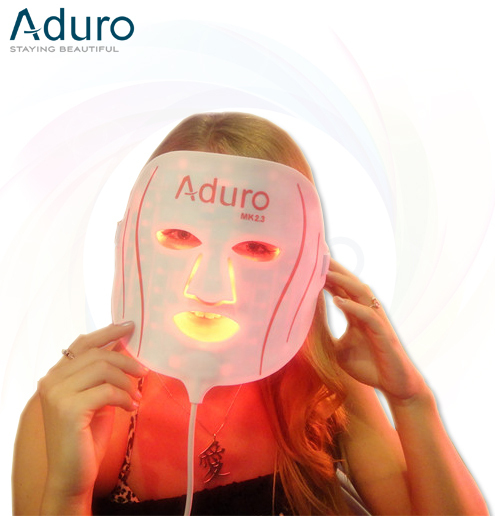 The Aduro treatment plan consists of 2 easy steps, including a cleansing of the skin followed by a rejuvenating light treatment. 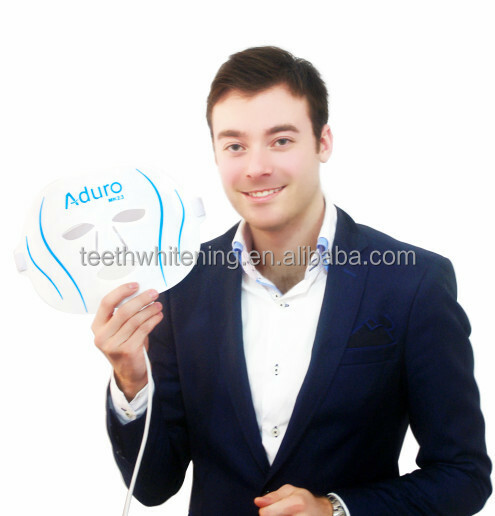 The Aduro mask is simple and easy to use, it’s simple plug and play features provide a hassle free way of turning on the device combined with stretchable adjustable straps for a perfect fit. 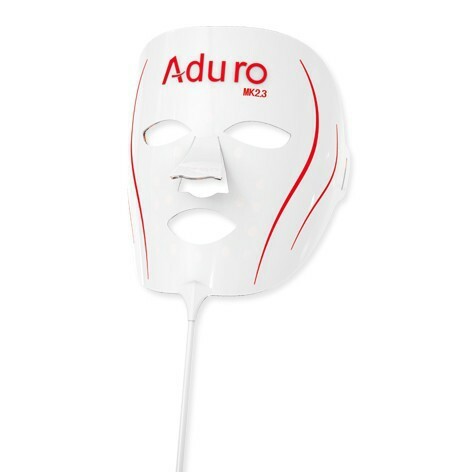 The Aduro mask really is a game changer when it comes to treating signs of aging, it combines the comfort of a facial mask plus all the benefits of light-therapy, all while taking just a fraction of the effort when compared to a traditional hand-held device. 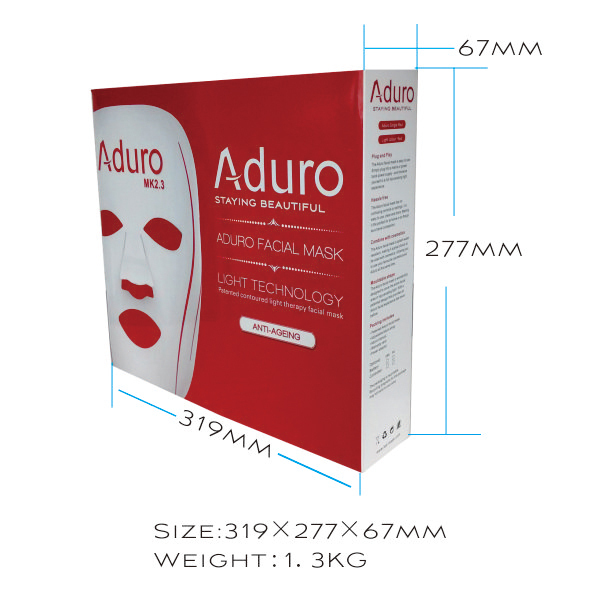 The Aduro facial mask is a breakthrough in cosmetics, naturally promoting collagen production, which helps reduce fine lines and wrinkles in as little as 2 weeks. The Aduro mask is designed to treat signs of aging and is to be used for 5 minutes daily. 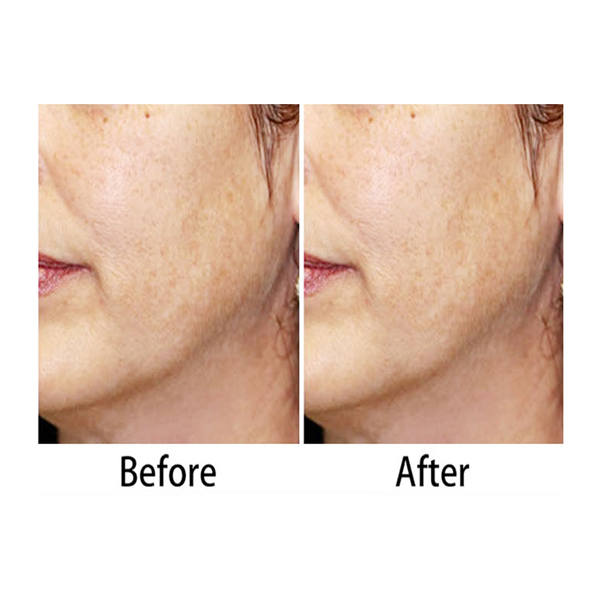 The rejuvenating light stimulates collagen which plumps and firms aged skin, for a more youthful and smoother looking skin. 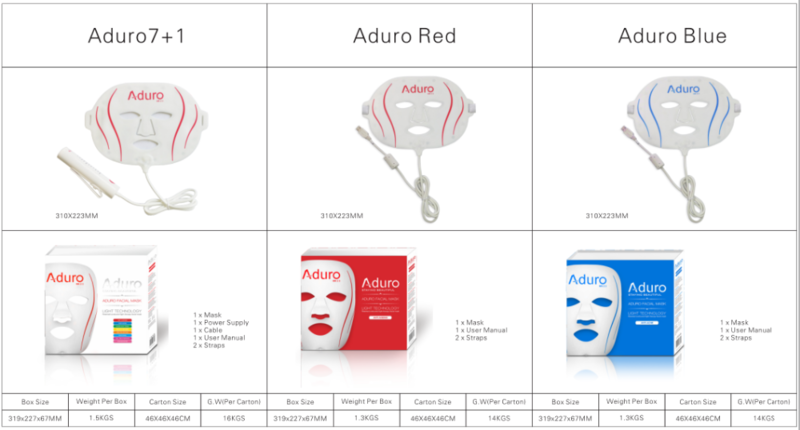 For the maximum Aduro anti-aging experience, use the Aduro mask for the recommended 12-week period combined with the 2-step Aduro light-activated cosmetics. * Ever wanted more from your cosmetics? 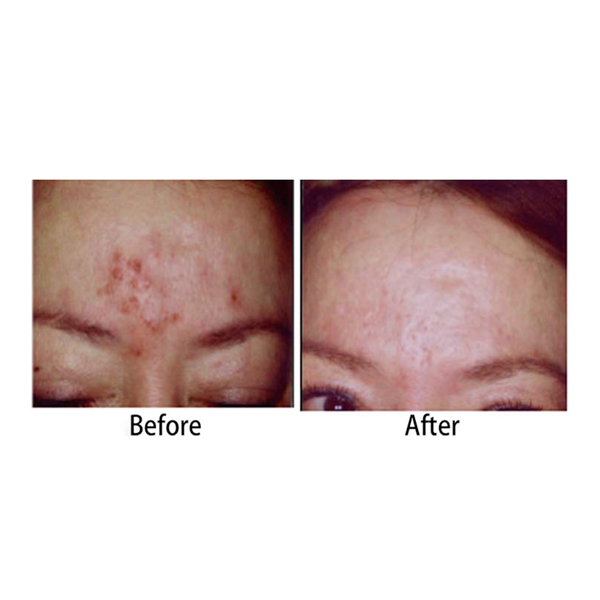 * Simply wear, Start and Rejuvenate aged skin"
* Rejuvenate and treat aged skin naturally"
- More pictures of people using the product. 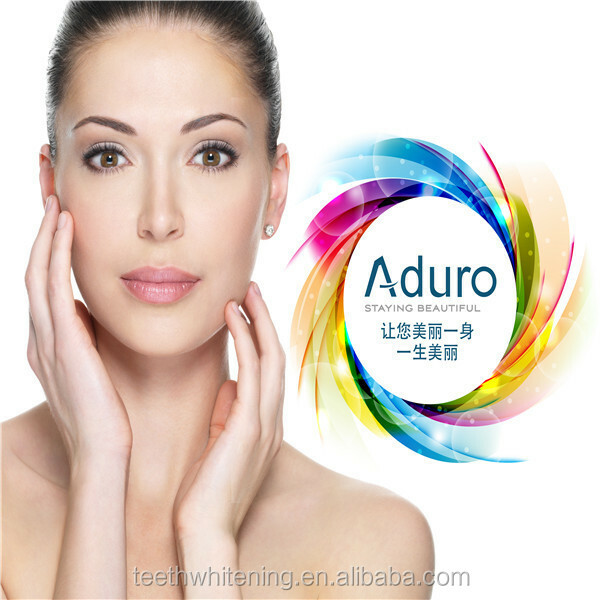 * Treating Your Face With Aduro Takes Only 15% The Time That It Takes To Treat Your Face With Tanda"